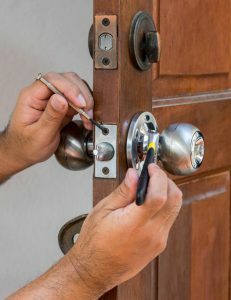 Here at Emergency Locksmith Reno we understand some services are needed fast. That is why we offer fast and prompt emergency locksmith Reno services no matter if its day or night. We guarantee a fast and friendly service by our locksmith technicians to resolve your emergency as soon as possible! To your convenience, we offer our residential, commercial, and automotive locksmith services 7 days a week including holidays too! Our mobile locksmith Reno technicians are constantly alert to take your call and assist you with your locking emergency! 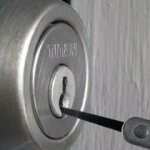 Emergency Lock Rekey / Lock Repair – There will be situations where you would suspect a stranger might have the key to access your home, or even worse, an intruder broke into your home and damaged the lock in the process. Whether if it will be during the day or during the night, our technicians will be able to assist you with your emergency. In case of a suspected key possession by a stranger, the least that we would recommend is having a lock rekey done. Our emergency locksmith Reno technicians are fully trained to work with most types of locks in the market and will be able to rekey the locks and restore your peace of mine. 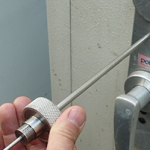 In case of a damaged lock due to breaking, most chances are that the lock would need to be replaced. Our technicians have fully stocked vehicles with many types of locks from the leading brands in the industry that will match your needs. Emergency Lockout Services – One of the most frustrating experience that can happen is being locked out of your home, vehicle, or place of work. This usually can happen due to forgetting the keys inside or misplacing/losing them altogether. We understand the urgency to find a solution for these types of lockout situations. That is why our emergency locksmith Reno technicians available 7 days a week. They are all equipped with service vehicles, so they will travel to you anywhere you are in Reno. They will be able to get you back inside your home, office, or vehicle in no time without damaging the lock! Accidentally forgot your keys inside your car? We got you covered! Lost the key to your office and have no other way to get in? We can help! Need new locks installed in the middle of the night because someone attempted to break in? We can help with that as well! Whatever the case may be, Emergency Locksmith Reno are here to assist in every possible type of situation providing you with an immediate and quality service for all of your emergency locksmith needs. So call us now, our representatives are standing by to take your call!